Description: Two young men chant hymns of Guru Granth Sahib. Music and singing play an important part in Sikh worship. Music is performed by the musicians (ragis) and the two main instruments are the harmonium and tabla (drums). Caption: Two young men chant hymns of Guru Granth Sahib. 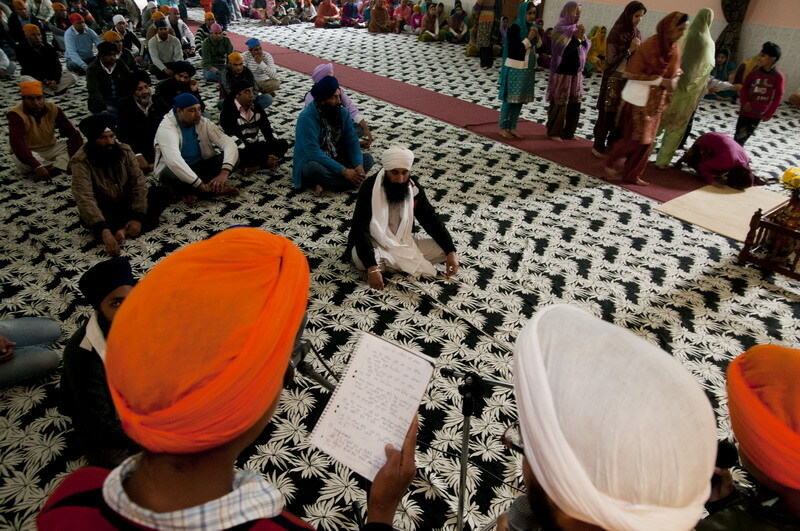 Music and singing play an important part in Sikh worship. Music is performed by the musicians (ragis) and the two main instruments are the harmonium and tabla (drums).